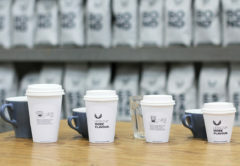 Brazil’s special climatic conditions are one of the reasons the country has a reputation as one of the biggest coffee producers in the world, and an emerging specialty coffee scene. 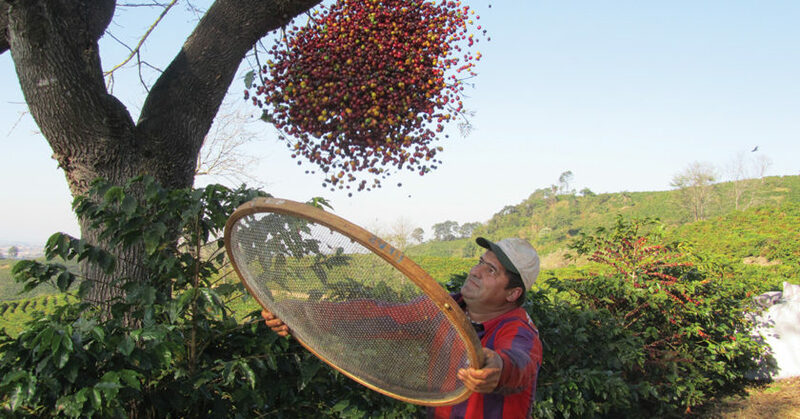 Unlike Colombia and Central America’s temperate weather conditions that impact on what type of processing methods they use (which is why you wont see top naturals or honey processed coffees too often), Brazil’s almost perfect conditions allow farmers to produce high quality natural, honey processed, semi washed, and fully washed coffees. Monte Alegre is a fourth-generation family farm in the South Minas Gerais region of Brazil. Owned by the Vieira family, Monte Alegre celebrated 100 years of production in 2017. 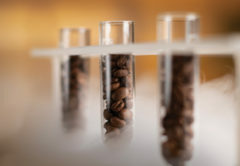 It focuses on the production of specialty coffee – coffees that score over 80 points. Jose says there’s even some talk of Brazil raising its specialty scoring to 82 points, but that’s still up for discussion. Monte Alegre grows more than 50 varietals, including the most widely used in Brazil from the Mundo Novo and Catuai families. 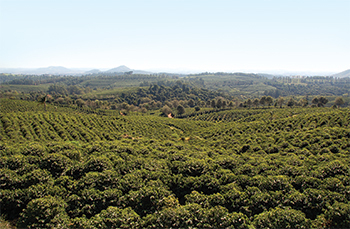 On the Mundo Novo side, Monte Alegre grows variations including Mundo Novo Acaiá, and under the Catuai family tree are yellow and red Catuai, and yellow Bourbon. For the past 10 years, its also been growing Topázio – a genetic crossing of yellow Catuai and Mundo Novo. • Pulped natural: a process of selecting the best cherries, pulping them, and drying with mucilage attached. • Fully washed: the method of picking cherries, pulping them, and placing them in using wet or dry fermentation. • Semi washed: the method of picking the cherries, pulping them, and removing the mucilage of the cherry with a mechanical demucilator machine. Removing the mucilage reduces drying time and the risk of fermentation. This processing method is typically used when weather conditions aren’t at their peak. If there is high moisture in the air, warm days or rainfall, there is a higher risk of fermentation. Most commodity-traded washed coffee in Brazil uses this method of processing. The use of advanced technology is playing a large role in the quality control of specialty procedures. Monte Alegre screen sizes its cherries and uses electronic machines to identify the ripeness of beans to ensure they are good quality to pick. 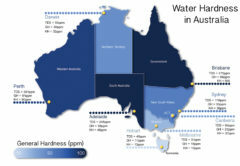 Jose uses a new computer software developed in Brazil to replicate the same conditions on drying patios, in designated driers. Despite the best efforts of Monte Alegre to produce top quality specialty coffee, Jose says the farm still only produces 40 per cent specialty. The traditional image of Brazilian coffee producers is large farms, which do exist, but the majority, Jose says, are very small family farms. Up to 1990, Brazilian coffee producers weren’t allowed to export their produce due to government regulations. The few that did required special permission. “As producers, we were forced to sell locally. We watched our coffees blended with others from different regions and origins, and sold on the international market as Santos type, that was the system,” Jose says. At that time, Jose says farmers were producing natural and pulped natural coffees, and very few fully washed because of the high production costs involved, such as extra investment of water treatment and environmental regulations. After the Brazilian economy opened up in 1990, a small group of what he considered to be the top quality producers in Brazil and founded the Brazil Specialty Coffee Association in 1992, with the focus to drive operation and production of specialty coffee. Jose is confident there will be a greater participation of Brazilian specialty coffee production in the future, but says the nation’s producers remain divided in two segments: Farmers who produce as much as much as possible at the lowest possible production costs, and farmers whose number one priority is producing quality coffee and selling their coffee at a better price. Specialty farmers must adhere to strict standards and fulfil international certification standards if they want to be recognised as a “specialty” producers. For some, Jose says the lack of flexibility is one of the reasons there’s not more producers driving higher-grade coffee in Brazil. For Jose, farming is something he knows well. He grew up on a farm and has worked with Monte Alegre for the past 44 years. His business has become his passion. But economically speaking, he says coffee production is not good business. Government taxation is “crazy high”, as are environmental maintenance costs, social costs, transportation fees, and family assistance costs. There’s a lot more to producing specialty coffee than meets the eye. It’s strict, controlled work that involves a commitment to quality, and nothing less. 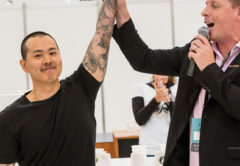 Monte Alegre is in that fortunate position, and in time, Jose hopes Brazil will see a greater participation in specialty. This article appears in the June edition of BeanScene magazine. 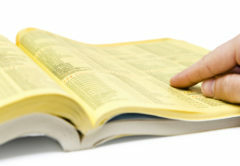 Written by John Russell Storey is the Marketing Manager of Trade at Cofi-Com.